Bigger than ever, Prime Day (and a half) starts July 16 at 12pm PT/ 3pm ET and will extend from 30 hours in 2017 to 36 hours, with more than one million deals exclusively for Prime members around the world. 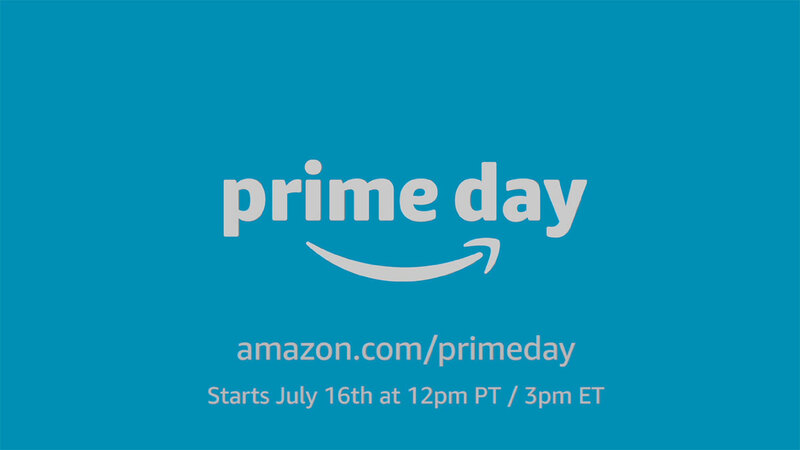 SEATTLE--(BUSINESS WIRE)--(NASDAQ:AMZN) – Amazon’s highly anticipated annual shopping event, Prime Day will start on July 16 at 12pm PT/3pm ET and will run through July 17. Bigger than ever, Prime Day (and a half) will extend from 30 hours in 2017 to 36 hours, with more than one million deals exclusively for Prime members around the world, plus select deals at all U.S. Whole Foods Market stores. Members in the U.S., U.K., Spain, Mexico, Japan, India, Italy, Germany, France, China, Canada, Belgium, Austria and – new this year – Australia, Singapore, Netherlands and Luxembourg, can shop deals across TVs, smart home, kitchen, grocery, toys, fashion, furniture, appliances and back-to-school supplies and even stock up on everyday essentials. This year, Prime Day will feature double the deals on Amazon devices—and the biggest deals yet on Alexa-enabled products like Echo, Fire TV and Fire tablets, in addition to new categories from home security to Echo devices with screens. Not a member yet? Anyone can join Prime or start a 30-day free trial at amazon.com/primeday to participate in Prime Day. In advance of Prime Day, giant Smile boxes will make their way across land and sea to major cities around the world. Customers in New York City, Los Angeles, London, Tokyo and Milan will be delighted when each box opens to reveal an unforgettable event, in a nod to the unparalleled benefits that come with a Prime membership including music, video, gaming and more. 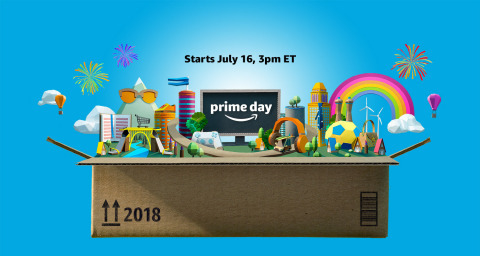 Everyone can join the celebration by tuning in to amazon.com/unboxingprimeday. Also new this year, hundreds of well-known and emerging brands around the world will unbox exclusive new items, content and special-edition products available just for Prime members for a limited time. Prime members will be the first to shop, taste, listen and laugh with early access Prime Day Launches that will top everyone’s wish list. Select Prime Day Launches in the U.S. include: Delta Trinsic Touch2O voice-activated faucet, the first Alexa-enabled kitchen faucet; Coleman RoadTrip LXE portable propane grill with new features perfect for camping, tailgating and picnicking; Fingerlings Light Up Unicorn Mackenzie, the first Fingerling with a special light-up horn; Audible Original production, Hi Bob!, where American icon Bob Newhart sits down with special guests Sarah Silverman, Will Ferrell, Lisa Kudrow, Jimmy Kimmel, Judd Apatow and Conan O’Brien; Bai Braspberry flavor paying homage to Justin Timberlake’s fruitful creation; and the Moto G6 64 GB, an exclusive version of the best-selling unlocked Android smartphone featuring a brilliant 5.7” Full HD+ Max Vision display with 4 GB of RAM and 64 GB of internal storage. For the first time, U.S. Prime members will also be able to celebrate Prime Day at their local Whole Foods Market. Prime members can taste the savings on the high-quality natural and organic products they love on Prime Day (and a half), with an additional 10 percent off hundreds of sale items throughout Whole Foods Market stores, and deep discounts on select popular products. Download the Whole Foods Market app and scan the Prime Code to start saving. In addition, from July 14 through 17, Amazon Prime Rewards Visa cardmembers with an eligible Prime membership will enjoy double the rewards - 10% Back - when shopping at Whole Foods Market on up to a total of $400 in purchases. Watch A Deal – The Amazon App ensures you never miss a deal. This is the easiest way to preview, track and shop those limited time Lightning Deals while at home or on-the-go with deal alerts on the Amazon App. Learn more at amazon.com/watched. Prime members from around the world can shop hundreds of thousands of deals this Prime Day from small and medium-sized businesses selling on Amazon Launchpad, Amazon Handmade, Amazon Exclusives and more. On Prime Day 2017, members ordered more than 40 million items from small and medium-sized businesses worldwide, and once again this year, these businesses are adding to the unsurpassed selection available every day on Amazon. Starting today, customers can enter for a chance to win the Alexa Home-Smart-Home Sweepstakes by asking Alexa questions about Prime Day, watching Alexa-related videos, downloading and using the Amazon App, and more. One grand prize winner will receive an Alexa-enabled 2019 Lexus ES, a complete Alexa smart home package, and more. Get details at www.amazon.com/homesmarthome. Prime was designed to make your life better every single day. Over 100 million paid members around the world enjoy the many benefits of Prime, including shopping and entertainment. In the U.S. that includes unlimited access to award-winning movies and TV episodes with Prime Video; unlimited access to Prime Music, Audible Channels for Prime, Prime Reading, Prime Photos, Twitch Prime; early access to select Lightning Deals, one free pre-released book a month with Amazon First Reads, and more. Prime members can also get deep discounts on select best-selling foods at Whole Foods Market plus an additional 10 percent off hundreds of sale items. Prime was built on the foundation of unlimited fast, free shipping and members receive Prime FREE One-Day Shipping and Prime FREE Same-Day Delivery in more than 8,000 cities and towns, two-hour delivery with Prime Now in more than 30 major cities and unlimited Free Two-Day Shipping on more than 100 million items. Start a free trial of Amazon Prime at amazon.com/prime. Amazon’s highly anticipated annual shopping event, Prime Day will start on July 16 at 12pm PT/3pm ET and will run through July 17.